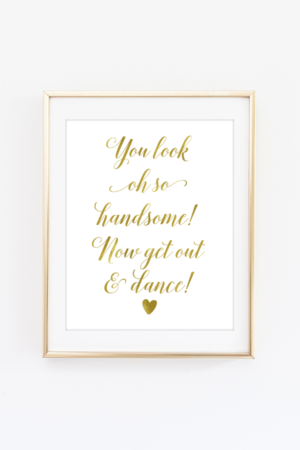 These free printable fall art prints are going to look great in your home! Printable wall art is a great way to update your home decor without breaking the bank. 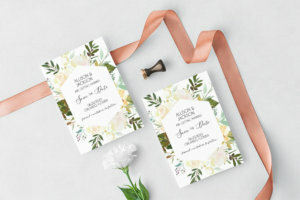 You can update your decor for each season by printing out new art and replacing the art in the picture frames in your home. 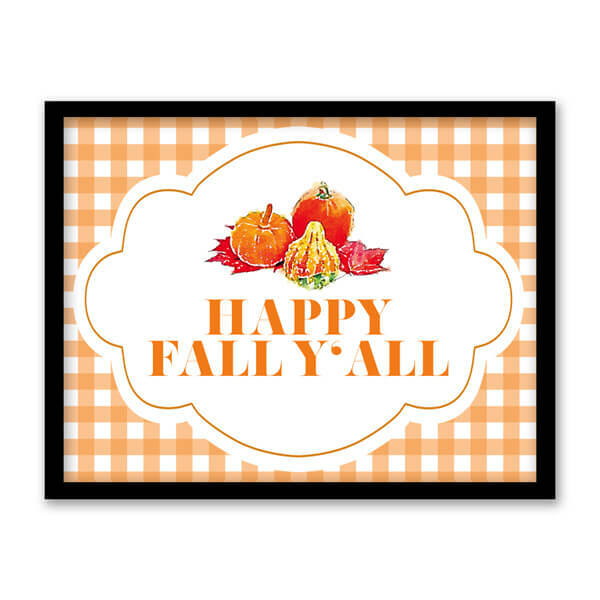 Today I’m sharing 10 free printable fall art prints that you can print out for free. 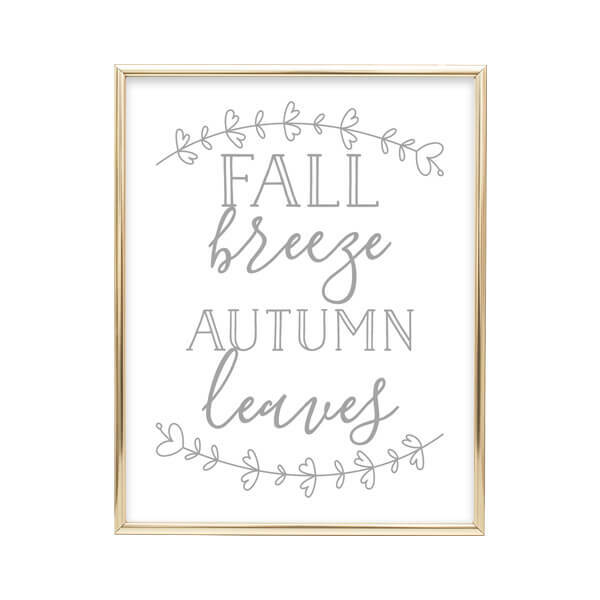 This fall breeze autumn leaves printable wall art is great for neutral decor. If you aren’t crazy about traditional fall colors and love a more neutral look, then this art print is for you. 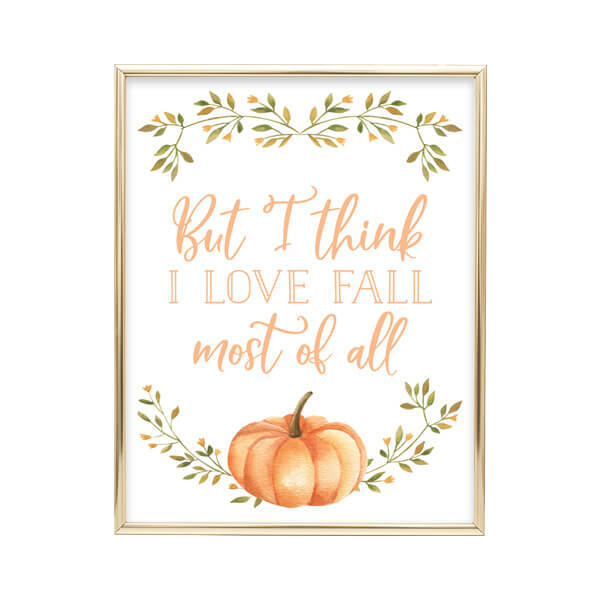 But I think I love fall most of all! This describes exactly how I feel about fall. This fall wall art includes a watercolor pumpkin and foliage. 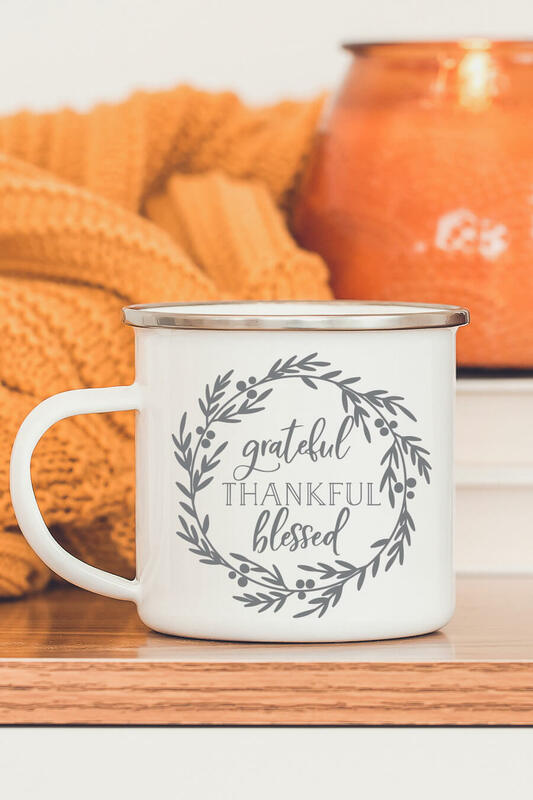 It’s perfect for traditional fall decor. 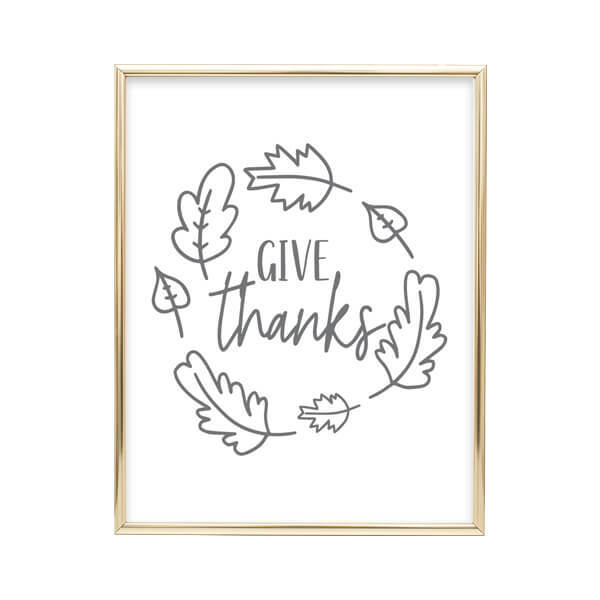 Print this give thanks art to include in your Thanksgiving decor. 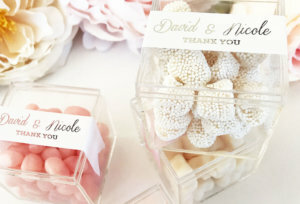 It’s a neutral gray art print that will work for a lot of decor types. 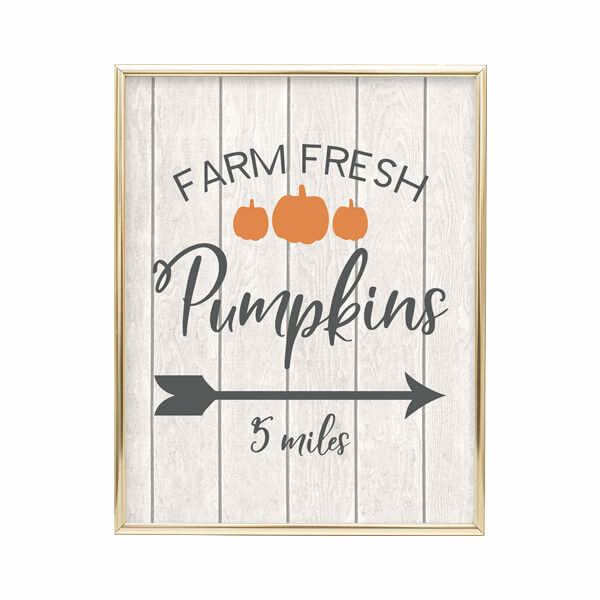 This farm fresh pumpkins printable art is perfect for farmhouse decor. Print this art print out to include in fall farmhouse decor. 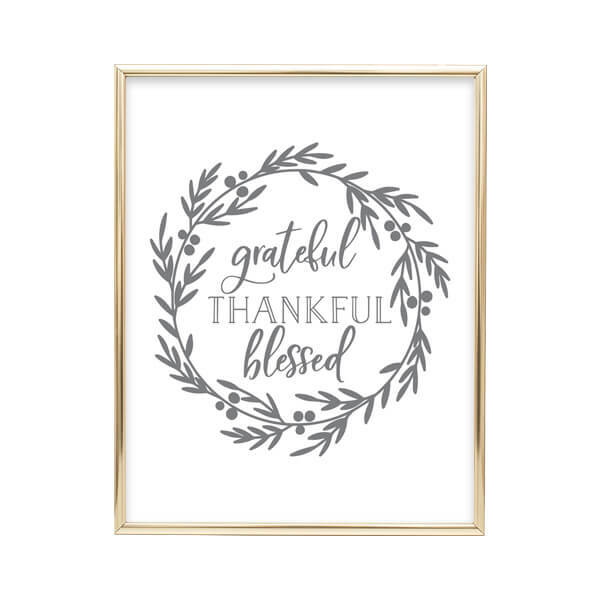 This grateful thankful blessed printable art is perfect for the fall season because of its message. 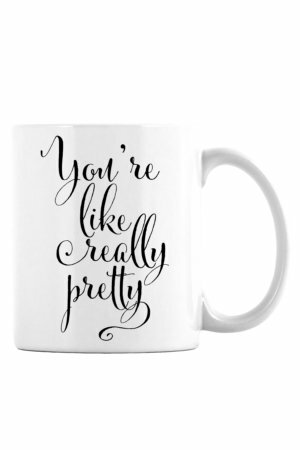 It’s also perfect for Thanksgiving decor. 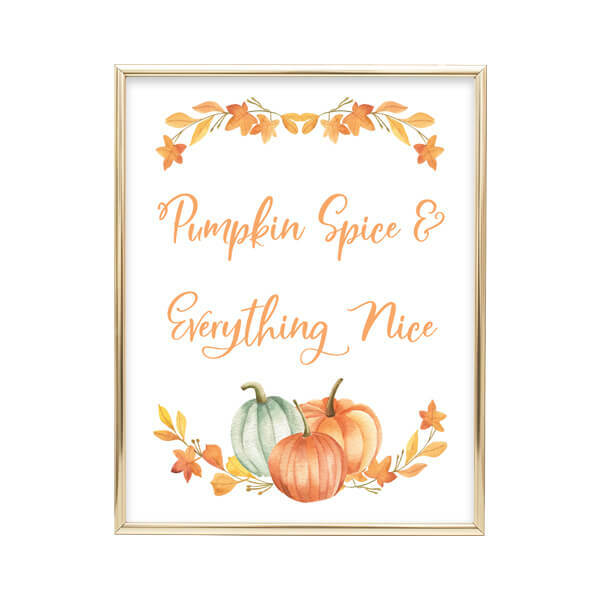 This pumpkin spice and everything nice art is perfect kitchen art. 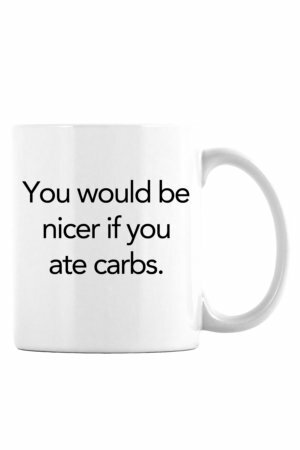 I printed this out and put it next to the coffee bar in my kitchen. The fall season is a time to gather. 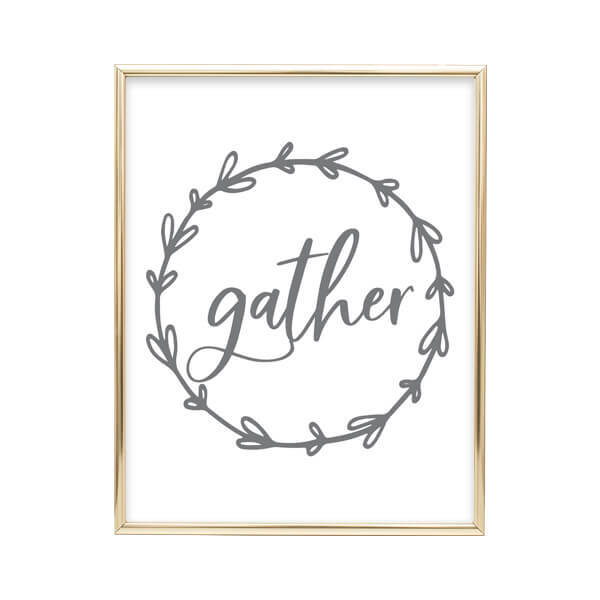 That makes this gather printable art perfect for fall. 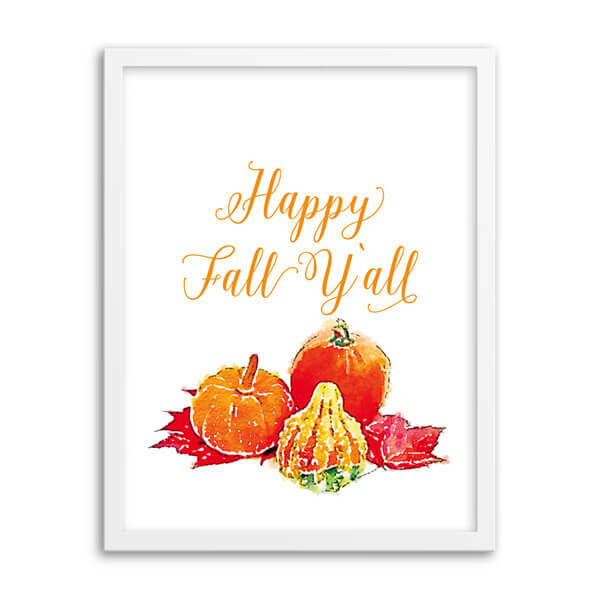 This happy fall y’all printable art is perfect for Southern decor. 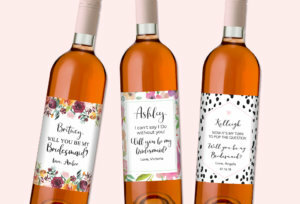 It includes a gingham background which is also very Southern inspired. Fall is basically pumpkin spice season. 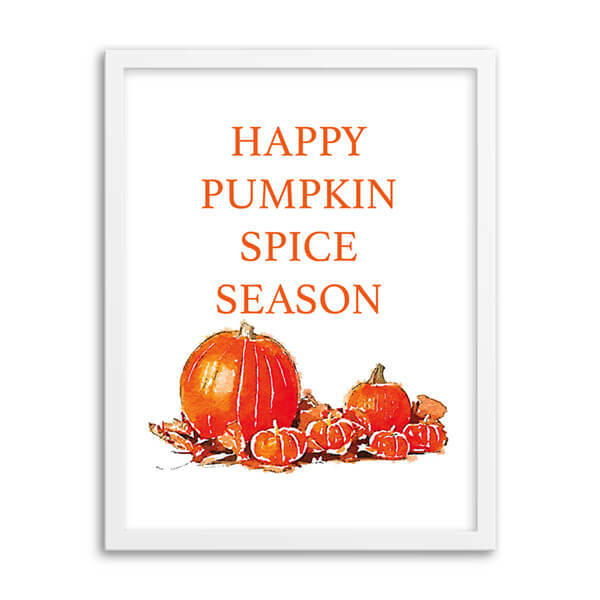 If you love pumpkin spice as much as I do, then this happy pumpkin spice season art is perfect for you. This is a more simpler happy fall y’all design than the one above. It has traditional fall colors which makes it great to display all season. This post may contain affiliate links. 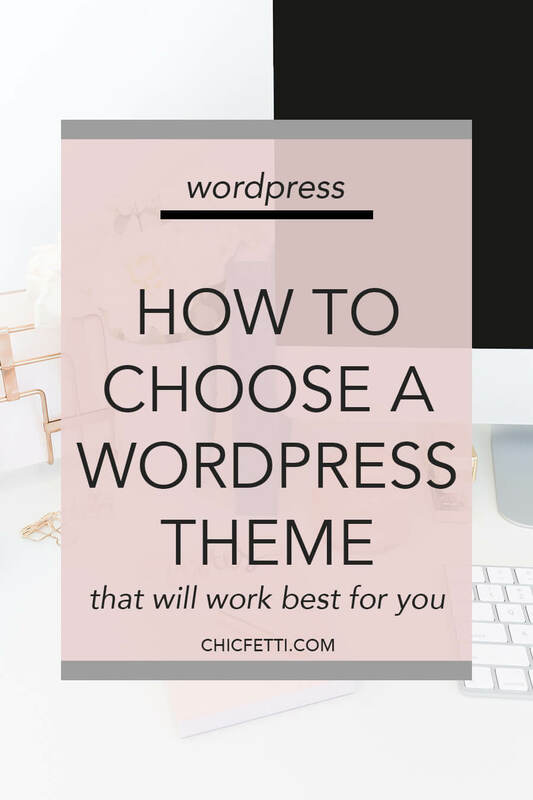 Chicfetti may at times use affiliate links to promote products sold by others, but always offers genuine editorial recommendations.